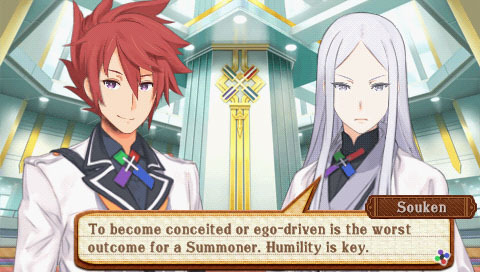 The PSP is still getting games somehow and for some reason, and the latest release for the handheld will be Summon Night 5. Publisher Gaijinworks came forward with the information recently, as well as the fact that the game will be releasing December 15 and will run you $30.99. Gaijinworks is going to mail out digital codes for anyone who previously purchased the limited quantity of physical + digital codes, but Gaijinworks is still waiting for UMDs to complete out production. It's strange to hear that there's a brand new PSP game still in the works, let alone a real-life UMD. When's the last time you actually popped one into the PSP?